Let me be your chef-de-cave. You know all those people you want to impress? Don't go for a tie. Skip the chocolate. Break out the bubbly instead. This is the good stuff. 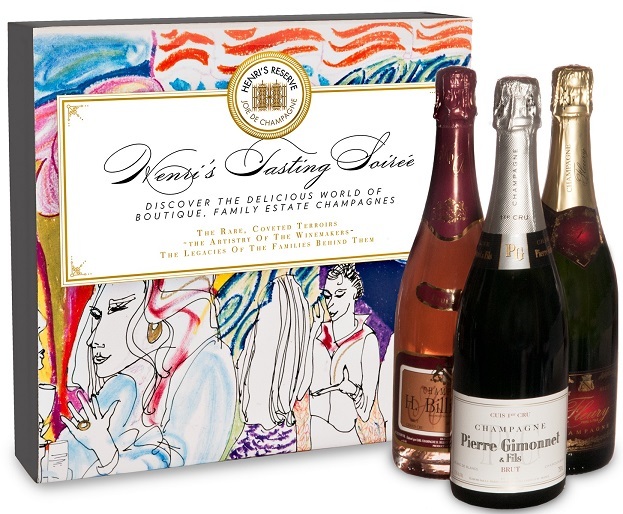 The Soirée includes three Family Estate Champagnes: a Blanc de Blancs, a Rosé and a Blanc de Noirs. Cheers to you.